AOMEI Backupper is a backup program for Windows operating system. It allows backing up, syncing, restoring and cloning everything you have on your PC or laptop. The program has free and paid versions that have several differences in operation and functionality. Regular computer users might be interested only in AB Standard (free) or AB Professional (paid) versions of the program. Meanwhile, developers also offer Server and Technician editions for businesses and technical services. 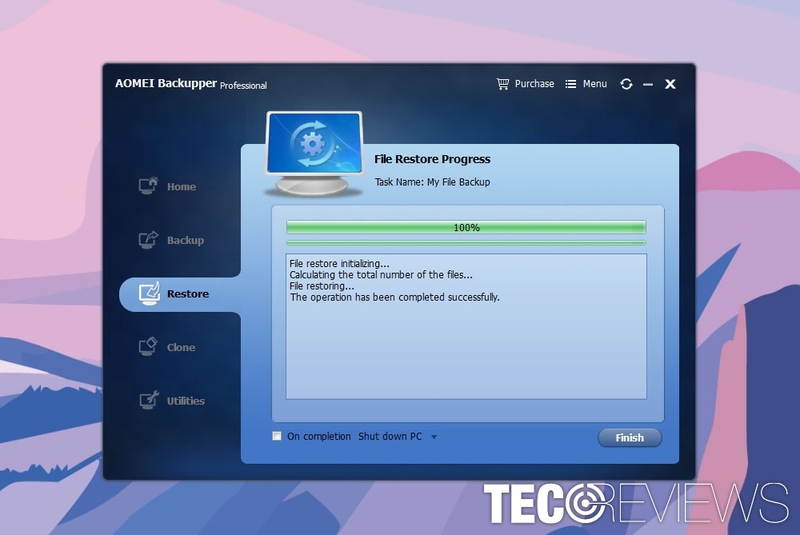 AOMEI Backupper is one of the best tools to create backups of your files. the paid version offers a variety of additional features. Professional edition barely differs from the Standard version. The only difference is additional features that might not be necessary for the regular users. 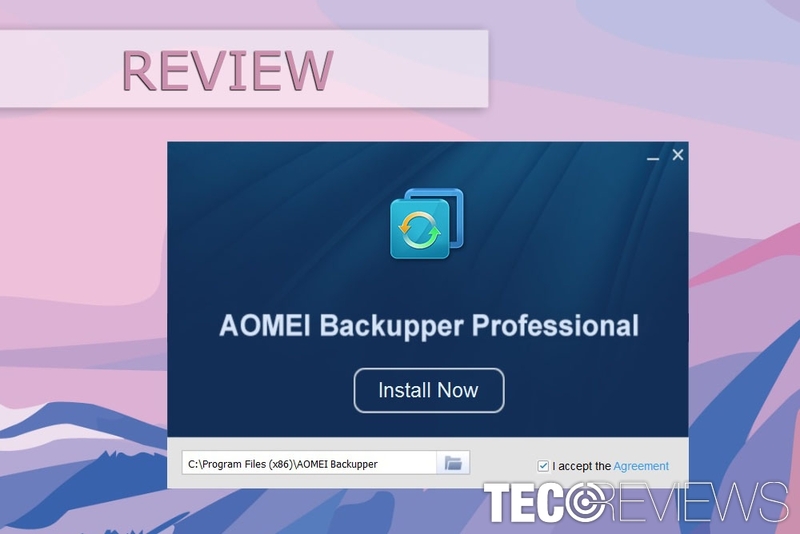 AOMEI Backupper Standard Edition offers great backing up solutions for free. In general, the program offers wide options for backup solutions for Standard and Professional editions. However, Professional version showed a slightly faster backup process and has a bunch of additional features. Therefore, all these features of the free programs give everything you need for creating regular backups for free. However, if it feels not enough for you, you might be interested in additional features. backup or restore dynamic disk volume. In our opinion, the major downside of the AB free version compared with the paid version that it does not include merging backups feature. Combining two or more images into one allows having more organized backups if you missed some file or folder to add to your backup. Other features of the Professional edition suits more advanced computer users who have higher expectations of the backup software. Home computer users who want to create copies of their data in order not to lose files due to ransomware attack or system crash only, it’s enough to download freeware and enjoy it for the lifetime without spending $40-$50. Once installed and launched, the program offers to choose between a system, disk, partition or file backup or file sync features. When you choose the option you need, you receive simple window where you have to enter your preferred task name, add data you want to backup, select the location of backup and within a couple of minutes, a copy of your data is created. 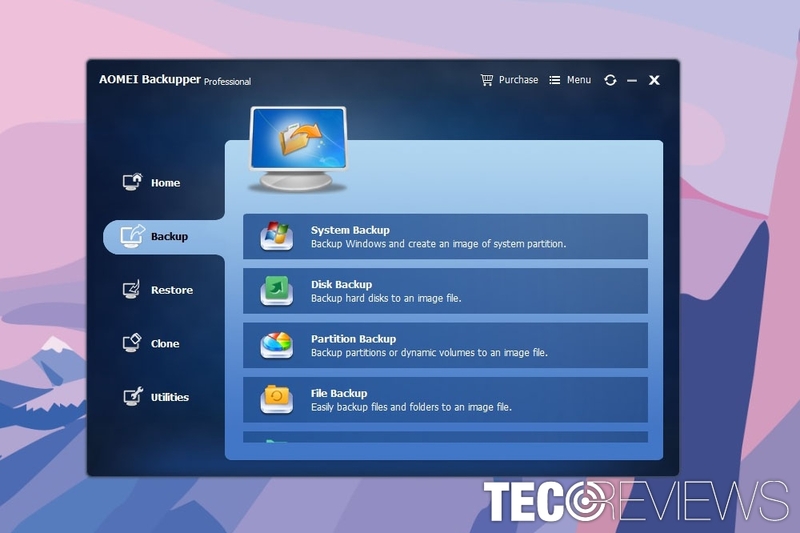 Backup options of AOMEI Backupper Pro. In the era of ransomware attacks, having backups of your files and folders is extremely important. Thus, we assume that this feature of the AOMEI Backupper is the most important. Creating copies of this tool is easy and does not take much of the time. Of course, the time of backup procedure depends on the size of data. Obviously, you should not expect to have 10GB copied within a minute or two. However, our test results tell that program can quite quickly backup big data without using lots of computer’s CPU and preventing from normally using until the process is over. In the File Backup window, you have to enter Task Name a.k.a the name of your backup. Then, you have to add files or folders (if you want to add subfolders, don’t forget to check “Include subfolders” box). Finally, you have to choose a location where you want to save copies. Once you click “Start Backup” button, you will see the beginning of the process. If the operation is completed successfully, you just have to click “Finish” button, and that’s all. Your backups are done. When creating backups, you can also alter specific settings. For instance, the “Backup Settings” option hides opportunity to write a comment and add a name of the backups in order to find it easier when needed. Restoring tasks or images using AOMEI Backupper is very simple too. Once you click “Restore” option in the left pane, you see the list of your backups. Click on it and follow the guide on the screen. Within marking a few checkboxes and click “Next” you can restore needed backups. Clone is one of the additional features of the backup software. cloning a partition or volume from one to another. Cloning is easy to perform as well due to the simple user interface. However, we want to stress out this feature is only available for a paid version of the backup software. Freeware does not have this option. viewings logs – allows accessing records of the backup process. As we have already mentioned, merging feature seems to be the most useful. However, we have doubts that it’s a valid reason to obtain a license. It’s wiser to create a new backup and add new files or the ones you forgot. In this review, we tried to compare paid and free versions of the program. Developers usually limit the functionality of the free version in order to convince people into buying the license. However, authors of the AOMEI Backupper freeware gives all the major backup features for free. Thus, you do not need to spend any dollar for expensive and hard to use software; you can download it for free from the developer’s website. Meanwhile, AOMEI Backupper Professional version gives advanced functionality for people who know what they are doing. Though, we do not think that home computer users should spend money on the license. The free version is more than enough, and we highly recommend at least trying it! AB Standard version is definitely one of the best choices for creating backups. 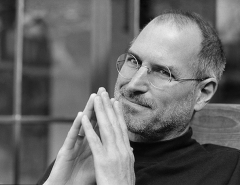 However, we do not feel that home computer users need AB Professional version with all its additional features. ^ AOMEI Backupper. Wikipedia. The free encyclopedia. ^ Chris Hoffman. Which Files Should You Back Up On Your Windows PC?. How-To Geek. Technology tips, tricks and tutorials. ^ Margaret Rouse. Image-based backup. TechTarget. The network of technology-related website. ^ https://www.techopedia.com/definition/13610/disk-cloning. Techopedia. The latest tech buzzword definitions. ^ Lincoln Spector. Why you donu2019t need to encrypt your backup. PCWorld. News, tips and reviews from the experts on PCs, Windows and more.